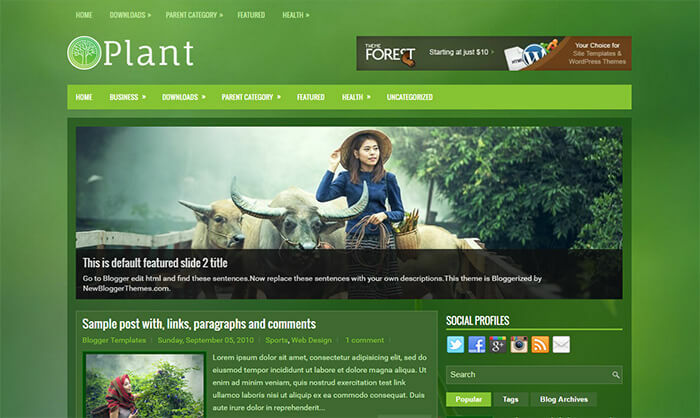 Plant Blogger Template is professional, responsive and clean design blog theme that comes with many features to make your blog more simpler and faster. It has drop down menu, two columns layout and slide show that will make your website more user friendly. It’s ideal theme for Health, Plants, Trees, Personal, Gardening and Travel blogs. If you’re looking for any responsive and unique design blogger theme that comes with some awesome features and make your blog super faster then this is of most recommended theme for your blog.